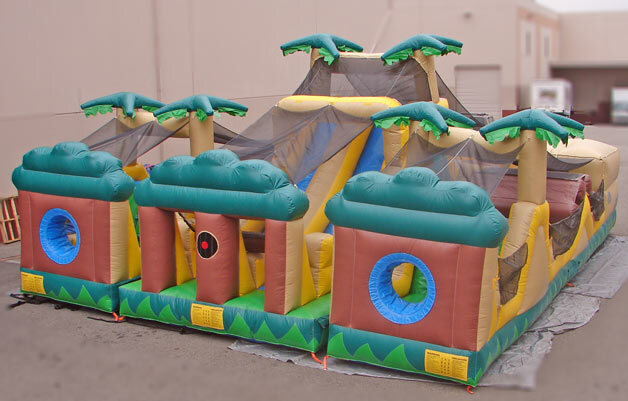 The palm trees will sway with more than the summer breezes as adventurers make their way through 85' of this challenging jungle! 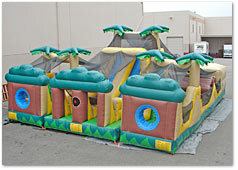 Squeezing between the trunks of the palms, overcoming the fallen logs and jungle obstacles, crawling through the tropical challenges, then overcoming the climbing hill to end in glory and fun down the banana slide to race to the finish. With a footprint space of 28' x 37', you can see who will be the first to be the King of the Jungle!